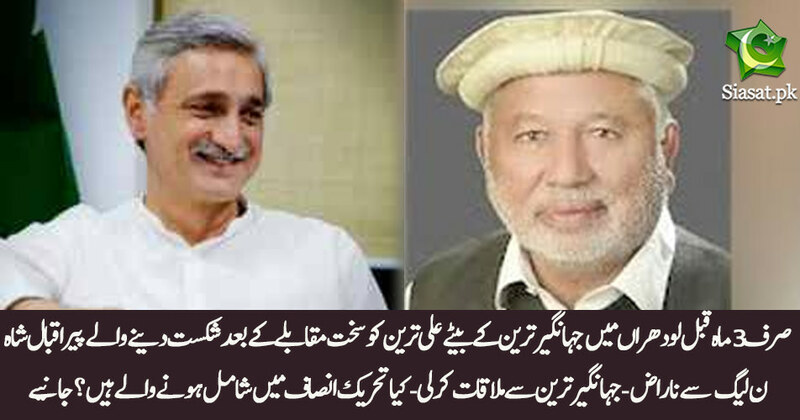 Lodhran: Peer Iqbal shah who defeated Ali Tareen just 3 months ago joining PTI ? I don't get it. Peer Iqbal won the by-election for PMLN but now they don't give him a ticket? I guess this so called peer has learnt his lesson the hard way. But minister Kanjo immediately went to Lodharan to assure Peer Iqbal for his approval for ticket..I think Peer wanted more tickets around his erea.. Instead of sweeping the elections, Qalander is now sweeping the streets of Nawab Shah!